The Baja California peninsula is in northwestern Mexico. Its land mass separates the Pacific Ocean from the Gulf of California / Sea of Cortez. The Baja California Peninsula extends 1,247 kilometres (775 mi) from Mexicali, in the northern state of Baja California to Cabo San Lucas, Baja California Sur, the southern state of the peninsula. It ranges for 40 kilometres (25 mi) at its narrowest to 320 kilometres (200 mi) at its widest point and has approximately 3,000 kilometres (1,900 mi) of coastline and approximately 65 islands. 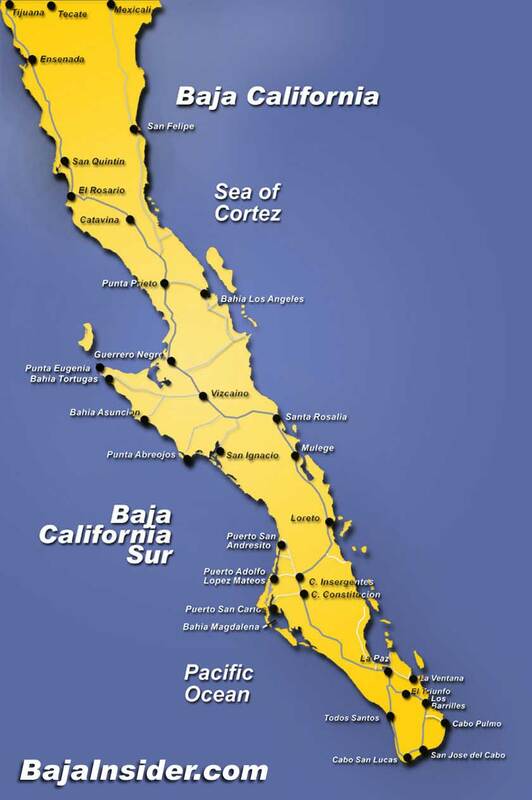 The total area of the Baja California Peninsula is 143,390 square kilometres (55,360 sq mi). The peninsula is separated from mainland Mexico by the Sea of Cortez and the Colorado River. There are four main desert areas on the peninsula: the San Felipe Desert, the Central Coast Desert, the Vizcaíno Desert and the Magdalena Plain Desert.